Longmont Gutters is proud to be the best gutter contractor in Mead, Colorado. For residents and business owners of Mead, we are here for all of your gutter cleaning, repair, and installation needs! We have been in business since 2015, but have more than 25 years of experience in gutter services ranging from simple repairs and installation to auxiliary services like installing snow blockers (important here in Colorado! ), leaf screens, heat tape, and more. If it has to do with gutters, Longmont Gutters handles it. Mead is one of the great Northern Colorado towns. With a population of around 5,000 people and it’s location right on I-25, it provides the small town town feel with all of the access and amenities to the entire Front Range. 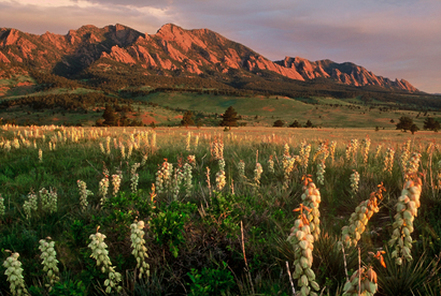 From gorgeous views of the foothills to outdoors activities, Mead represents everything that is great about Colorado. So if you’ve chosen Mead as your home, don’t let a simple gutter issue dampen your spirit. Gutters are here to protect your home from the elements, so let them! Colorado can bring some rather harsh weather at times, so make sure your gutters are up to the task. Get in touch with us today for your gutter installation and repair needs in Mead! Call 720-410-6461 during normal business hours, or fill out the submission form to the right and designate what type of service you need, and we will contact you as soon as possible. We look forward to meeting you!